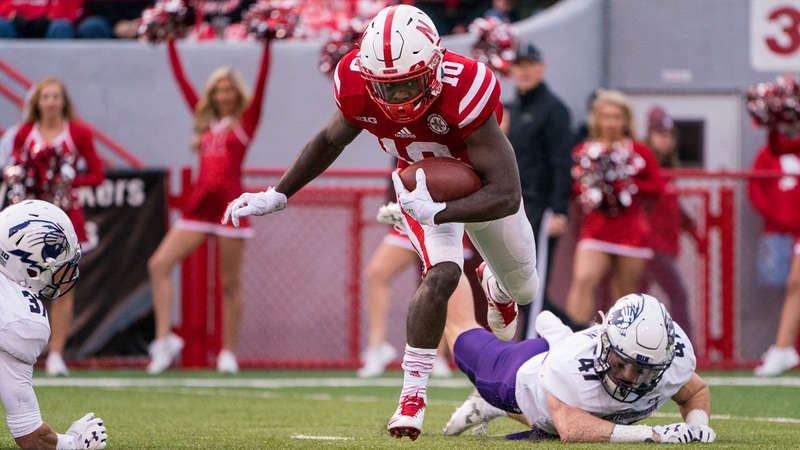 JD Spielman made Nebraska history Monday after becoming the first wide receiver in program history to be named to the Football Writers Association of America Freshman All-American team. Spielman, just the second wideout in Big Ten history to receive that distinction, was also named a Freshman All-American by USA Today and Third Team All-Big Ten by league coaches. The redshirt freshman from Eden Prairie, Minnesota, finished 2017 with 55 catches for 830 receiving yards — both program records for freshmen. He also set a Nebraska freshman record with 1,572 all-purpose yards. Working mostly from the slot, Spielman became a go-to weapon for Nebraska in the passing game early and was one of quarterback Tanner Lee’s favorite targets on third down. Spielman led all freshmen with 75.5 yards per game and ranked second among first-years in receptions (5.0) and all-purpose yards (142.9) per contest. With the departure of senior De’Mornay Pierson-El, Spielman, alongside Stanley Morgan Jr., figures to be an impact player for the Huskers in his sophomore campaign. Spielman joins four other Huskers in program history to earn FWAA Freshman All-American status. Purdue’s Taylor Stubblefield (2002) is the only other Big Ten wide receiver to earn a spot on the team.